Denmark’s gambling market has seen massive growth over the summer thanks to betting done on the FIFA World Cup, as well as from the online casino industry. Figures that were recently released by regulator Spillenmynheden have shown that total revenue over the three months ending on June 30th had amounted to DDK 1.63 billion, which is an increase of 11.5% as compared to the same period last year. Sports betting has seen the most growth as Danish punters rushed to place their bets on the World Cup, which was open from June 14th to July 15th. Despite Denmark losing to Croatia on penalties in round 16 of the international event, betting in the country continued to grow, with an estimated figure of around $100 million, compared to Q2 of 2017, which rounded off at $80 million. The betting total for Denmark’s Q2 represent the largest revenue gain since Denmark legalised gambling in 2012, and according to sources, global betting turnover on the FIFA World Cup hit 136 billion in total, the highest ever recorded. Sports betting made up the majority of all gambling activity in Q1, with a 39..7% market share. 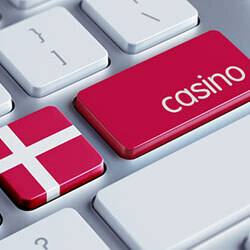 Online casinos followed behind with a market share of 32.9%. Land-based casinos and gambling machines were the hardest hit as more punters decided to turn their attention to the online sector, which includes online betting and gaming, and losses have been reported from both markets during the Q2 breakdown.